Medical malpractice is a grave situation in which a person claims that while they were under the care of a healthcare professional, they received improper or negligent care. Usually, this care resulted in further injury discomfort and in many situations resulting in death. It is a very serious allegation that a professional was negligent in one form or another. If you find yourself in a situation where you have the need to file a medical malpractice claim, it is important and vital to obtain the assistance of an effective medical malpractice lawyer to handle your case. In this article, you will learn some of the prime characteristics of the best medical malpractice attorneys. Before engaging in a medical malpractice suit against a medical professional, there are a few things that have to be established. The initial consideration is that the professional took responsibility for your care. The next thing that you must establish is that the professional failed to provide care for you in a manner that is consistent with standard procedures that suited your medical needs. Once you have established the above information, it is imperative to have proof that the professional’s lack of care resulted in your injury, or indeed further damage. It is important that you have proof of the injury that you are claiming to have suffered as a result of the negligence of the medical professional. If you are able to verify all of these constituents of the case, then you can continue with your search for a medical malpractice attorney. The first thing that you should ensure is that a medical malpractice attorney has an extensive educational background in medical malpractice. It is also important that you inquire if the medical malpractice attorney has ever had prior experience in dealing with the type of case that you are claiming. The unique combination of education and experience should prove to be the top determining factor when selecting a medical malpractice attorney to handle your case. The second characteristic that the medical malpractice attorney must have is a standard pay scale. The attorney must be very comfortable when explaining their rates for the service that they will provide to you. Many medical malpractice attorneys have been known to say things like “If you don’t get paid, I don’t get paid”, or “we will worry about that only if we lose…and we WON’T lose”. You should be very cautious with individuals that express this regarding the fees regarding their service. The medical malpractice lawyer should have an established pay scale, and be willing to discuss their fees openly and honestly with you. If they are not willing to do this, or keep putting you off, it would probably be in your best interest to resume your search of an appropriate attorney. Chances are, you will end up with further complications if you remain with a drifty medical malpractice attorney. Like anything else in regard to fees, make sure you get it in writing! That way there can be no misunderstanding when it comes time to pay the malpractice attorney fees. When searching for a medical malpractice attorney, it is essential that you make sure that you are at ease with the individual. You want someone that you can easily confide in, and that will empathizes with the experience that you have endured. You will also want someone who can communicate effectively with you when you meet with them. Good communication skills are essential when it comes to working a trial. You may want to request information on the track record of the medical malpractice attorney that you are considering. It is imperative to know and understand what type of cases the attorney has handled in the past, their success rate, and even the circumstances surrounding their losses. You should openly discuss any concerns that you have with that individual to receive clarification on the issues. DUI Lawyer – You think of yourself as a really good driver. Nonetheless, no one is perfect, and most people have made the mistake of drunk driving. Driving intoxicated doesn’t necessarily mean you are so drunk that you can’t see correctly. It all depends on the amount of alcohol content in your blood and also if the policeman feels you are able to operate your car. If are ever charged with a DWI, you need to hire a defense attorney. Many individuals simplify a DWI as having a blood alcohol level more than the legal limit as the primary indicator of your drunk level. But people need to realize that law enforcement doesn’t see it precisely the same way. A officer can also use their own judgment when determining whether or not you can safely drive your car. There is clearly too much gray area from the moment you are pulled over until you make the trip to the jail house. For that reason, a DUI Lawyer can get you out of a lot of problems. An experienced drinking and driving defense attorney can walk you through the items related to your arrest and tell your side of the story. In many US states, it seems like drinking and driving has become a cash crop for the police, and they will find any way they can to make sure you pay the price for indulging in a drink or two after work. 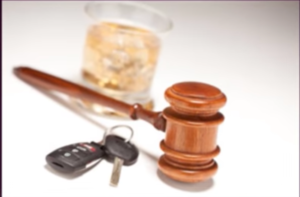 Without a good DUI Attorney you will surely be hit with the maximum fines possible. The fines can reach into the thousands of dollars, and you could have your license taken away. How hard will it be to keep your life together if you can’t get to work? You’ll want to encourage your defense attorney to take a look at your position as a whole and find out what they can do to cut down on the damage. You’ll want them to assist you to regain your driver’s license so you can drive to your job and be able to pay your bills. Spending time in a drunk driving treatment facility would be much more palatable than that! Your defense lawyer can help you with that! There are many ways to retain an outstanding and effective DUI Attorney. Your friends and relatives will be vocal about what would be the smartest thing for you. It isn’t bad to listen to them, but depend on some essential decision making tools to check that you retain the right lawyer for you. A preferable law firm will have a lot of drunk driving case know how and have a lot of cases. However, you should make sure they have enough time to devote to your case. You are dishing out a lot of money, so it is essential to have open lines of communication. They should have enough drinking and driving case experience to back you and how to sway the judge when your recorded level was just below or just over the limit. Just because you made the mistake of driving with assumptions that you are drunk doesn’t mean you merit jail time, especially if you aren’t a problematic criminal. A sympathetic defense attorney understands your plight and will work hard in your favor so that you are able to get back to a normal routine with your family.